Sure, fighting bad guys and mutant terrorists is ONE way to use your mutant powers of climate control, but we had a few other ideas that Storm could try out. She could find some totally unfair employment as a meteorologist. She could become every elementary school kid's best friend by creating tons of snow days. She could even her abilities to help farmers out with drought! Of course, using them to fight bad guys alongside the the X-Men sounds like a way cooler idea. What will you decide to do in this Storm costume? (We're going to guess that it involves looking awesome at a party!) 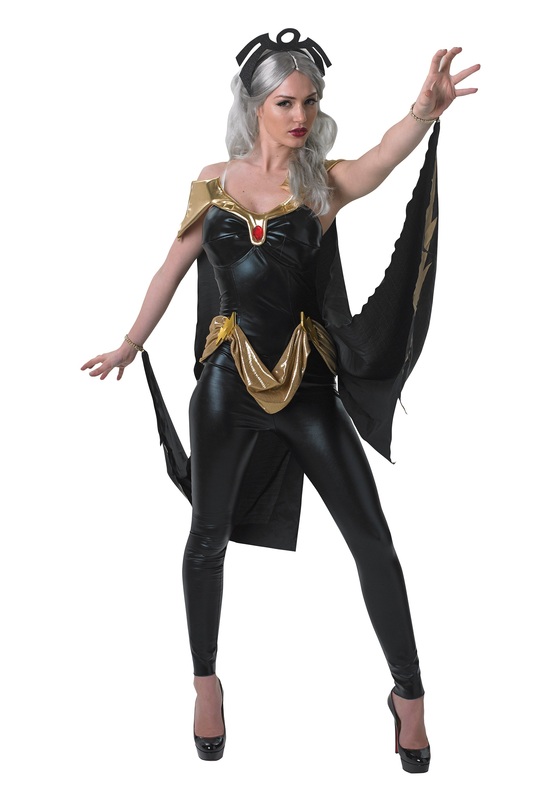 This X-Men costume is officially licensed, and includes a jumpsuit, headpiece, cape, and attached belt. 96% polyester and 4% spandex for the perfect fit and feel, you're sure to feel like you're flying high whenever you suit up!